PALS stands for Patient Advice and Liaison Services (PALS). It is available to assist with any concerns you may have with the healthcare you are receiving and can help resolve problems or provide independent advice. The Patient Advice and Liaison Service (PALS) is a confidential service that offers on-the-spot help to you. As a patient, relative or carer sometimes you may need to turn to someone for help, advice or support. This is where PALS can help. 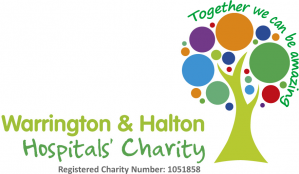 PALS helps you to sort out any problems or concerns you may have about the care we provide, guiding you, your family or friends through the different services available within the NHS. Refer you on to external organisations where appropriate. Although the PALS officer works for the hospital, their job is to help you and provide an independent service - resolving your issue as quickly as possible using their knowledge and expertise. 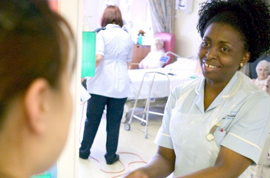 They act independently when handling patient and family concerns - liaising with nursing and medical staff, managers and others to resolve problems and provide prompt solutions. PALS also aim to provide accurate information to patients by accessing appropriate independent agencies such as specialist advocacy agencies, including Independent Complaints Advocacy Services, signposting where appropriate. However, PALS does not replace the formal NHS Complaints Procedure and any person wishing to pursue a formal complaint can find out more in the concerns and formal complaints section of the website here. The service is available between 10am and 4pm Monday to Friday. Outside these hours a 24 hour voicemail service is available and a member of the PALS team will call you back as soon as possible. The PALS office is located in the main entrance area at Warrington Hospital. You can walk in and request a meeting (but please bear in mind that other patients may be seeing the PALS officer).